Win a tote bag of your choice! We are looking forward to a little time at the beach around here and have whipped up a whole line of beachy and nautical tote bags to welcome the warm weather! 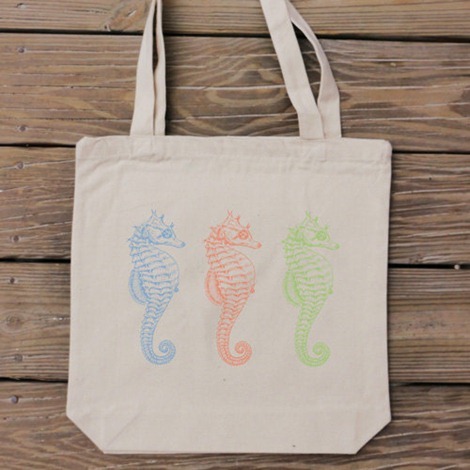 These tote bags are the perfect size to take your towel and a book or two to the beach. 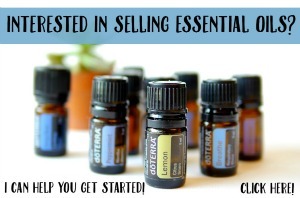 You can also buy them in bundles and we’ll customize them for your next party or retreat. Lobsters…they make me start dreaming of Maine and Lobster Bisque. Ha! It’s always about the food around here. Seahorses have always been one of my favorites! These would be beautiful for a beach wedding tote or to take on your next beachy vacation! Need I say more? I’m sure you know a girl or two that could use one of these! This is one of our colorful totes for all you Parrot Heads out there! Did you get a crafty tote of your own yet?? 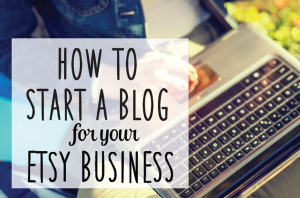 These are so popular around here…we were even featured on Etsy last week! We were in a tote bag frenzy around here printing and packaging like crazy people! It was fun! We are starting to offer these in a few colors, but haven’t listed photos in the shop yet. If you would like a special color, just convo me and we’ll see what we can do! There are a ton of new designs and I’d like to share a tote bag of your choice to 3 Everything Etsy readers! Visit Handmade and Craft and leave a comment below telling me about your favorite. Be sure to click through the rafflecopter widget to have each entry count! I’m not left-handed, but my mom and sister are, so I would gift it to them. I am have a soft spot for the lobster… then again I live in Maine! Love the EAT, SLEEP, SEW! I would probably want mine to say something about crocheting and being a mom but I don’t know what! LOVE IT! I’m so crafty I sweat glitter. It’s perfect for my crafty cousin!! I think I like the one with the VW Bus best. I love the “I’m crafty and I know it” tote! I like the Jimmy Buffet tote and the polka dot anchors. It’s so hard to choose between EAT SLEEP KNIT and I’D RATHER BE SEWING! ARGH!!! Okay: decision: EAT SLEEP KNIT it is! 🙂 Thanks! I love the one with the definition of coffee. I have been a barista for fifteen years so it is so me! I totally love the Life Is A Beautiful Ride! I love the sweating glitter one! Too perfect! I’m so crafty I sweat glitter is perfect for my sisters and I.
I love the sweat glitter one the best! It is so funny! 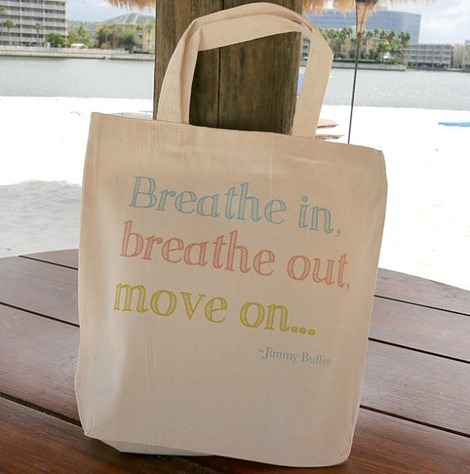 Although I love the shopaholic one I think I would pick the Jimmy Buffet quote! My favorite bag is : i am so crafty i sweat glitter. I also like Eat. Sleep. Read. 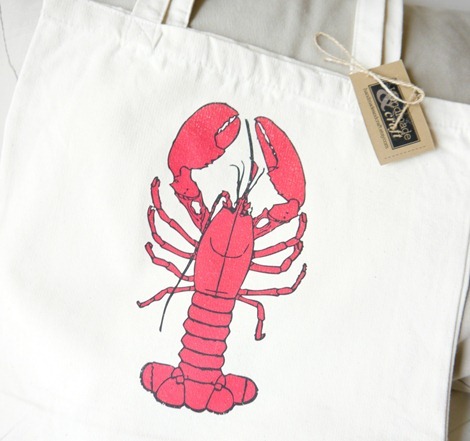 extra love the lobster and the crab totes!!! I like the sewing one and the Jimmy Buffett one! 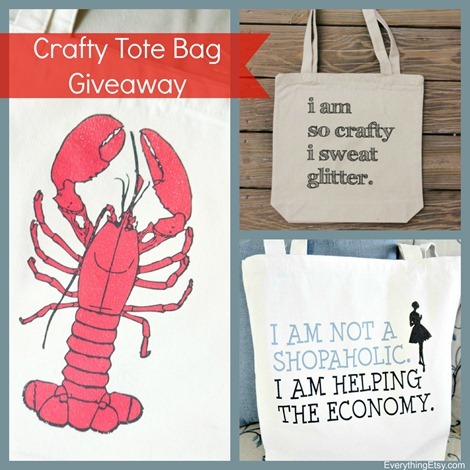 My favorite is: the tote with I am so Crafty I sweat Glitter!! Too cute and perfect for me! I like the So many books so little time one. I love the seahorses! Thanks for the giveaway! I would def go with “I’m so crafty. I sweat glitter.” Love it! 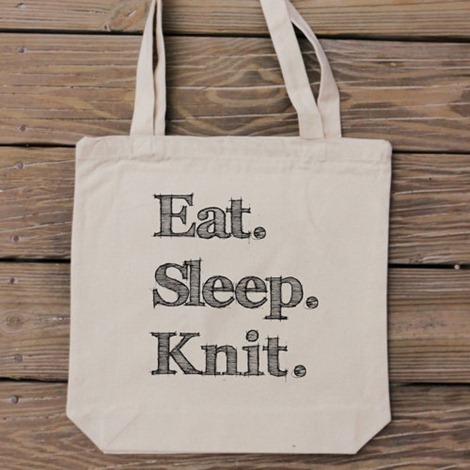 My favorite is definitely the Canvas Tote Bag – She Who Dies With the Most Yarn Wins – Crochet and Knit Bag. I love the Eat Sleep Knit bag! While “I’m so crafty I sweat glitter” cracks me up, I think I’d choose the three sea horses for my friend who has a beachy birthday in August. hard choice but that lobster is just calling my name! So funny… I pinned the “I’m so crafty I sweat glitter” bag a few months ago because I LOVE it! oooh wow. crafty and i know it. eat, sleep, sew. sweat glitter… how do you choose?? It’s hard to pick just one, that’s the difficulty with “favorite”. 🙂 So, for me it’s between “I’m so crafty I sweat glitter” and “All who wander are not lost”. One is just great fun; the other is true to my heart. …oops, had to click through rafflecopter. So, I’ll choose between the two and go with sweating glitter! I would love the sewing bag! Something about embroidering would be great, too! I also liked the Jane Austen bag. Great totes–loved them all! “I am so crafty I sweat glitter” would be my choice…too cute!! Seeing how I loved the books, I simply adore the May the Odds Be Ever in Your Favor Tote Bag! I’m bummed, went to leave my comment in the Rafflecopter, for the tote I like the most and something happened. Before I could type anything it closed out and there was a check that showed I left a comment, but I didn’t. Well, if I can add my comment here it would have to be and will probably always be, “I’m so crafty I sweat glitter!” The first time I saw that I wrote it down and pinned it on my message board so I could always have a quick giggle every time I sat down at my desk. Love these bags but I especially love “I’m so crafty, I sweat glitter”. My mum says I must sweat it as I am always covered in! Loving your work! Crafting with my three year old daughter often involves glitter so I would have to say “I’m so crafty I sweat Glitter” is my favorite! I love the don’t worry, be crafty and the wisk it, wisk it good totes. my favorite is “so many books, so little time” because i wish i could just read all the time. My fave is the bicycle tote “Life Is A Beautiful Ride” because I have a love of bicycles and the slogan is just perfect for me. I love the one about sweating glitter. How funny. 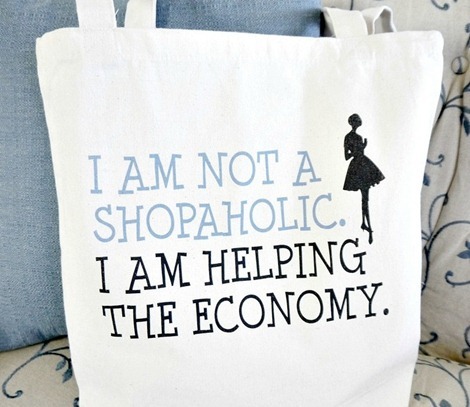 My is the “shopaholic” one ! love the i sweat glitter ! Eat, Sleep and Sew – love it! I needed to see the “Breathe in, Breath out, move on” one, sometimes I need a reminder of how not important that stress is 🙂 Thank you! I love the “I’m So Crafty I Sweat Glitter” for me or the one about shopping and helping the economy for my shopaholic mom!! It has to be, Coffee A Hug In A Cup. I want the “Not All Those Who Wander” tote; I love Tolkien! I would get the ‘I’d Rather Be Sewing’ Tote. That is perfect for me!! I’m so crafty I glitter. “I’m so crafty I sweat glitter” – love it! Happy Monday! I love, “Life is a Beautiful Ride”. The “I’d rather be crafting” tote is easily my favorite! I love the “Eat. Sleep. Read.” one! So perfect! Cute totes. I like the “Breathe in” one the best, but it was a toss-up. Recently I used your valentine hair bow freebie pattern to make a cruise card holder. Worked great! Hi love the sweating glitter bag. As a knitter I love eat, sleep, knit the best. Although the one about sweating glitter is pretty awesome too. I love the “Eat Sleep Knit” bag! A SINGLE favorite? Not possible. LOVE “I’d rather be sewing,” “Not all who wander are lost,” Proverbs 31, and just about all of the inspirational and crafty sayings. I like the Canvas Tote Bag – Not All Those Wander Are Lost – Quote Tote. I like the breathe in, breathe out, move on one best! Psh. I totally need the shopoholic one! That’s me to a T! My favorite is “I’m crafty and I know it”!